Pink Himalayan salt is a form of rock salt that ranges in color from light pink to red, and occasionally white. This salt has become very popular in recent years and has seen a tremendous rise in response to its health benefits and wide variety of uses. These crystals have a high mineral content and can be used to improve products ranging from foods to home furnishings, and is incredibly versatile. Though most salt is now mined and important from mountain areas in Pakistan, it is understood that marine fossil deposits created pink Himalayan salt millions of years ago. The salt crystals have been extracted by hand, and carefully cleaned and dried. This is done in the cleanest way, without the use of any machinery to remove it in order to keep the salt as pure as possible in its extraction stage. It is known as the purest salt available on the market today. This salt is a household product, but it requires care just like any other type of spice. 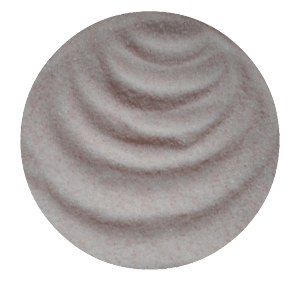 On average, pink salt has a shelf life of roughly 10 years, but there are things that can be done to take care of it and keep your product stored to last longer. To ensure that the salt is preserved well, the salt needs to be sealed in an airtight container. To keep the salt from clumping, it is important to keep it in a cool, dry area away from humidity. The main usage of pink Himalayan salt is the most obvious, that it can be used to improve the taste of food. Different sized grains can be used for different needs, such as larger, coarse grains to place in salt grinders or spice rubs, and the finer salt powders for cooking and seasoning foods like chips and popcorn. Of course pink Himalayan salt can be used to season and flavor food, but it also has a variety of other uses just like sea salt. 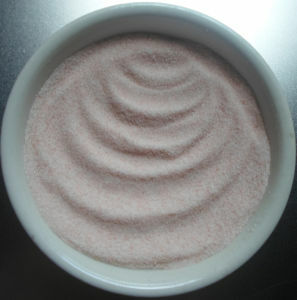 Pink Himalayan salt can be used as a bath salt or in many other bath products such as exfoliating scrubs or soaps. Another example of usage is the salt lamp. A large slab of salt rock crystals can be made into a lamp by carving out the crystal and placing an incandescent bulb or candle inside. The resulting effect will be a lamp that has a low pink glow, providing ambiance and a relaxing atmosphere. The most important reason that pink Himalayan salt is flying off of the shelves is because of its health benefits. Primarily, it is because it serves as a substitute for a less-healthy white table salt. Many minerals are extracted from the white table salt, which instead turns into a grainy bottle of sodium. However, with the pink salt, those minerals are still included, making it a healthy alternative, especially those on lower-sodium diets. The 80+ minerals that have been extracted from white table salt are included in pink Himalayan salt, providing a more balanced, more nutrient rich option. One more important tip is that if salt is pure white, that usually means that it holds less nutrients, whether it is labeled as sea salt or not. The color in the salt indicates that it is in its most natural form, and can confirm that it is still loaded with nutrients. While it is definitely more nutritious, using pink Himalayan salt is not an excuse to use a significantly greater amount, as it still contains sodium. The best option is to replace existing table salt with the more nutrient-rich pink salt to maintain the balance of salt in your diet but add in over 80 nutrients, it is also a kosher salt. It is easy to see why pink Himalayan salt has hit the market so impressively, with all of the features that it can offer that other salts cannot. Whether it is the high mineral content, the health benefits, or the variety of culinary and personal uses, the pink Himalayan salt is clearly one of the most versatile seasonings available today. Learn more about Himalayan Salt here.